Press reports on the latest charges by both the Republican and Democratic Party candidates that their opponents have ties with the Ku Klux Klan are not surprising. Racist political culture is part and parcel of the history of the United States where the nation-state was founded through the forced removal and genocide of the indigenous Native peoples and the enslavement of Africans. Neither of the two ruling class parties have ever expressed regret or apologized for the mass slaughter of Native Americans or the centuries-long capture and super-exploitation of African people. Today the indigenous people remain largely absent from the public view in the U.S. while Africans are still stigmatized by the legacy of enslavement and the century of legalized segregation after the destruction of Reconstruction policies in the post-Civil War era. These allegations carry weight in light of the rhetoric of Trump which targets so-called “illegal immigrants”, as code words for people from Mexico and other Central American states, along with the claims that Muslims from nations in the Middle East, Africa and Asia are somehow more prone to commit acts of terrorism. 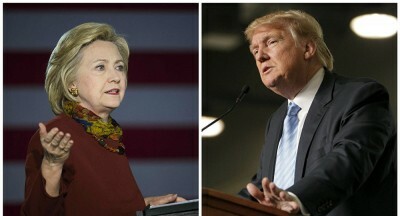 Not to be outdone by the claims of racism, Trump has now fired back saying that Hillary Clinton was mentored by a Klansman. This emanates from remarks made by Clinton at the time of the death of West Virginia Democratic Sen. Robert Byrd who had been a Grand Wizard of the Ku Klux Klan in his earlier years. Byrd played a role in the political isolation of Dr. Martin Luther King, Jr. prior to his assassination when he took to the Senate floor in March 1968 decrying an outbreak of violence during a demonstration in Memphis, Tennessee in support of striking African American sanitation workers. Byrd demanded that King be stopped and that the Poor People’s Campaign that was being planned at the time to establish a camp in Washington, D.C. demanding an end to poverty was a threat to national security. Trump has also reminded the public of Clinton’s labeling of “super-predators”, presumably alluding to young African Americans who have committed heinous crimes in urban areas. She was utilizing such terminology during the 1990s as a rationale for the signing of the ominous crime bill and other legislation which disproportionately impacted people in Black communities across the U.S. Bill Clinton recently in Philadelphia defended his support of such legislation responding to critics saying that they were defending murders and drug dealers. The exponential growth in incarceration rates among African Americans is a decades-long process going back at least until the early 1980s under the administration of Ronald Reagan through his “war on drugs.” There appears to be no let-up in this trend since neither Trump or Clinton have pledged to work towards legislation that would not only release the unjustly convicted and sentenced–but to makeover the affected communities. This prison-industrial-complex in many ways is another form of modern-day slavery. Under the federal legislation signed by the Clinton administration, many of those convicted of crimes face formidable challenges in securing work and housing. 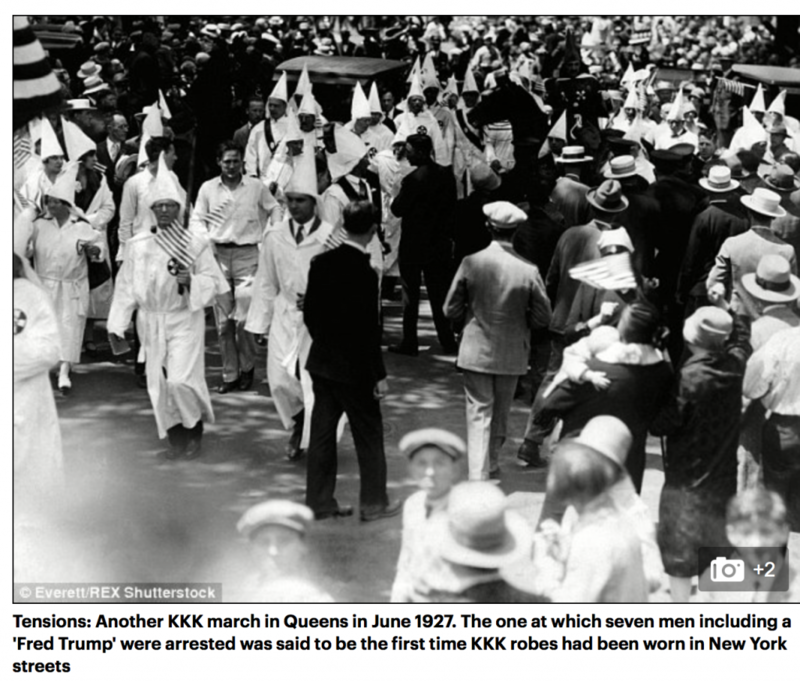 Two examples of Klansmen and Klan sympathizers in U.S. politics occurred during the first two decades of the 20th century. Woodrow Wilson, the 28th president of the U.S., has been described as a “progressive Democrat” who authorized policies that benefited people inside the country and abroad, yet his legacy is one of racism and war, when he re-imposed draconian segregation that negatively impacted African Americans working and seeking employment in the civil service. Wilson is also said to have made favorable comments about his friend, supporter and former classmate Thomas Dixon’s 1905 novel, “The Clansman,” which was adapted to film in the notoriously racist “The Birth of a Nation” in 1915 by D.W. Griffith. The film released during Wilson’s tenure in the White House is said to have prompted a resurgence of the Ku Klux Klan during World War I. In Detroit during the 1920s, Charles Bowles ran for mayor on several occasions with open Klan support. He was eventually elected in 1929 but was recalled six months later.